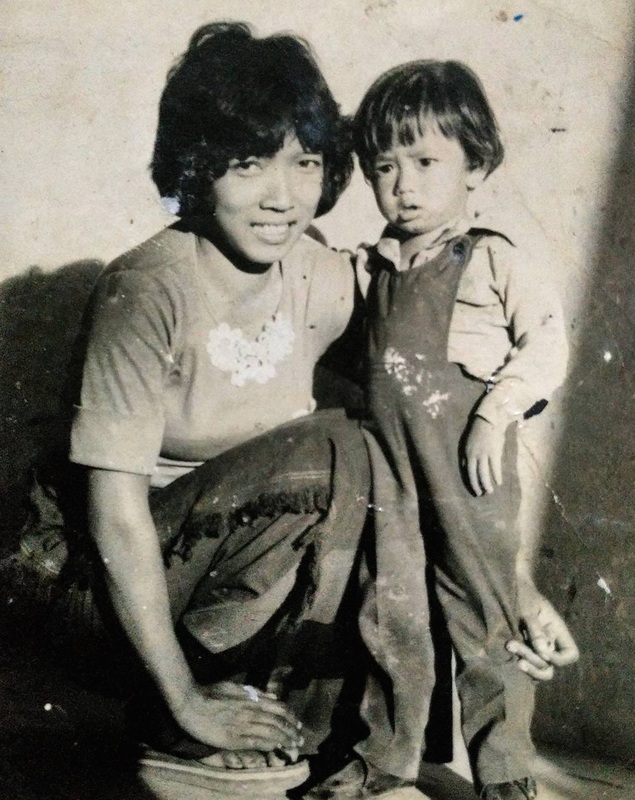 Before she made her millions of paisas, my mother was a hawker. Determined to make a better life for me, she took a huge leap of faith and moved from Aizawl to Shillong. She arrived with one trunk of clothes for the both of us and all of five rupees. 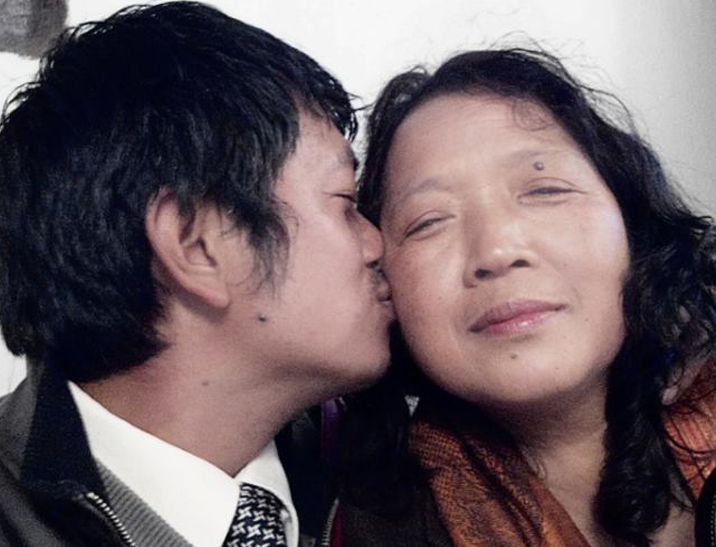 Her two brothers were already in Shillong, earning what they could and studying at the same time. They were living in a one-room rented place which was already too small for the both of them. We came and added to the number. We still stay in this place, my mother and me, though we’ve added three other rooms and the room we all stayed in once, is now my own. It’s becoming too small even for me alone and I always wonder how we all managed to fit inside. With her five rupees, my mother decided that she would buy gur/kurtai and make taffy which she could sell. The process was simple. She would take the gur/kurtai and boil it with a little water in a pot. The gur/kurtai would eventually melt forming a semi-liquid that looked like molten lava. After going for a couple of times through a sieve and poured into a basin, she would start pulling on the hot taffy till it reached the desired colour and density. This would then be pulled into long lines and left to cool on a bench, she’d scrub over at least two times. When they had cooled down, she would finally break them into even finger-lengths and then carefully pack them. She sold these ‘toffees’ at schools, mainly St. Dominic’s school in Mawkhar. Since she hadn’t learned how to speak Khasi then, she would just wave two sticks of toffees around to show people what she was selling. The toffees were new and unique for the kids and they didn’t know what they were. They became quite a hit. The kids referred to it as ‘mitmit lushai’, meaning a lushai sweet. So every day she would set out with her bag of toffees and squat in front of the school making sure she got there before schools started and ended. She hated the days when there was rain or when it got too hot as this would melt the toffee. As you can guess, there isn’t much profit to be gained from something like this. But whatever she earned, my mother made sure she utilized it to the maximum. She must have been rather good at it. She tells me now that there were many days she had to wonder where the next meal was going to come from. I don’t remember ever having to skip a meal. She ‘expanded’ her business by including sweets from Burma that were very popular in Aizawl. Besides St. Dominic’s, she would also go wherever there were school sports or public gatherings. In the evening, she learned how to sew clothes and would go to different localities where there were people kind enough to let her use their sewing machine. When she returned home, she would cook and clean and then make toffees again. In the morning she would rise with the birds, finish off whatever washing needed to be done, help prepare me for school, drop me off and then run to St. Dominic’s before the school started. In time, the students there begun to know her quite well and still greet her even today as Kong Mitmit-Lushai though she hardly recognizes any of them anymore. Every now and then, however, there would be complaints from well meaning, educated people that the Burmese sweets were laced with drugs or they would pull their kids away, telling them the toffees were not hygienic. She would return home, red-faced, quiet, but this time the sieve would be used six times and the bench scrubbed till it looked like it would break. She wanted to go to school. She studied until class three when she was pulled out of school and told that she was old enough to work. She tells me that she cried for three-four nights. She made sure I went to a good school. Whatever the cost. I did go to a good school with wonderful classmates. I remember I used to envy their parents. They were all well-dressed with nice jewellery and spoke English. I used to hate parent-teacher meetings. Once, when I was in Class IV or V, we had school ‘sports’ and we had to go to Student’s Field in Jaiaw. On the way, we met my mother. She was dark, sun-burnt, in old worn-out clothes, carrying a heavy bazaar bag with heavily calloused feet. When she saw me, she smiled. I turned away and rushed off. She thought I was probably not feeling well. She now has a shop where she sews clothes and has gained quite a clientele with her meticulous and uncompromising work. She no longer has to rush out and run from place to place whatever the weather. I am grateful. I am also grateful that she was a hawker during those days when she didn’t have to compete with malls, multiple brands and parking lots for space and when concepts like “Beautify Shillong” didn’t exist. I imagine her having to grab her wares and run from the law like a common criminal. 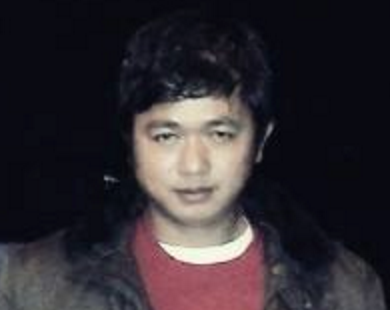 Lalnunsanga Ralte is a poet based in Shillong. He loves basketball. A simple story of common people…how many might have similar stories….very easy to get lost…but then all stories are common…it only attracts attention when told….your story reminded me of all those people who use to sell sweets outside our school gates…and just thinking…they all might have similar stories….cheers man!!! So beautiful! Thank you for sharing. Many congrats to your mother.